My friend Johnathan , I call him Jayla, introduced me to this country singer named Kacey Musgraves. She has videos on Vevo/youtube but I haven't seen her cd yet in the stores. I love her music though, she makes a lot of good points in her lyrics. 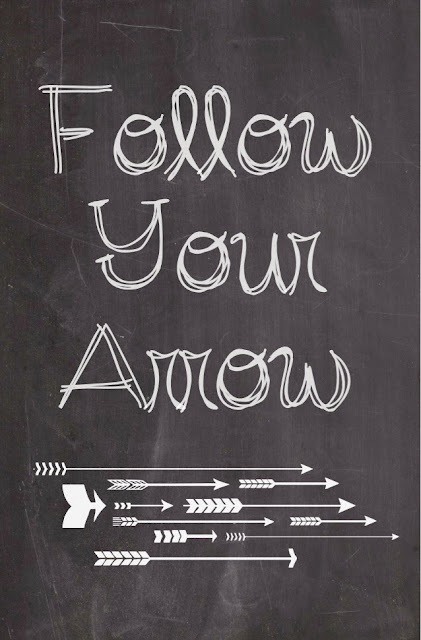 One of the songs I like is called Follow Your Arrow. It's basically about whatever you do, do it because it makes you happy. Don't follow after others, but go your own path. The song also states who cares if someone judges you or gives you weird looks for doing what you enjoy. You cannot make everyone happy. So why try? Because that just leads to your own misery. Something I need to remind myself always. I have always been a people pleaser. I like making others happy, but it is very difficult. I just need to listen to this daily, so I can focus just on making myself happy. (Well and my hubby also, I'm not happy if he's not happy.) And not worry about others as much as I have been. Because it's a lost worry, and it brings unneeded stress in my life. I will post the video at the end of this blog post for y'all to watch. :) Ta Ta For Now!